Writing Truth # 2: Writing a novel never gets easier. My fourth was just as difficult, if not more so, than my first. My fifth, the one I’ve recently turned in, was just as difficult to write as the rest of them. Through long experience I’ve finally accepted the fact that writing a novel never gets easier. As I mentioned in How to Write a Novel, there’s no magic formula for novel writing. Each novel demands its own structure, its own pace, its own way of looking at the world. Each time I complete a novel (and by complete, I mean very specifically the moment that I receive word from my publisher that the novel in its current state is ready for publication), I tell myself that I don’t know how I’ll have the patience to do it again. But patience is beside the point. Because by then, invariably, I’ve already started another novel, a novel I cannot bear to abandon, a novel that promises to be everything the last novel wasn’t, a novel that surely, certainly, will not be as difficult to write as every one that came before it. I know, I know, the definition of insanity and all that. Call me Homer Simpson. Where is the hope, then, for novelists, if this thing we do never gets easier? I take comfort from the ice skaters. Yes, the ice skaters. And, if I may be so bold, the aerospace engineers. It doesn’t get easier because it shouldn’t. Who wants to go back to the salchow when you can do a triple lutz? Who wants to merely go into orbit when you can go to Mars? This metaphor implies, of course, that each novel is more complex than the last. That isn’t necessarily true. But with each new novel, your skill set is larger—or should be. That’s because you should have learned something from the process of writing the last one. Your first novel will probably teach you a lot about timing. Hopefully, it will teach you about clarity. But what it will not teach you is what shape the next novel should take. Because the shape of the story changes. If it never gets easier, why do we do it—again and again and again? Most of us do it because we love it, and because, though we live by imagination, our imagination fails us on one particular point: we simply cannot imagine a life without writing. While such a life might very well be worth living, it wouldn’t be nearly as much fun. I take inspiration from one of my favorite books, a novella by Lars Gustafsson, The Death of a Beekeeper. And so, strange beings that we are, we begin again. The next novel, the next story, the next essay. And while it never gets easier, for this writer at least, it never gets boring. Each time you begin a new novel, you inhabit a new world. Each time you finish—finding, as most of us do, that the book you have written falls far short of the idea of the book you had intended to write—there is the hope of the next one. Today, the salchow. Tomorrow, the triple lutz. Carry on. “Mesmerizing and intricate, Richmond’s dissection of California on the violent brink of secession from the nation provides the backdrop for her deeper inspection of the fragile relationship between siblings. A riveting read.” Booklist, starred review. 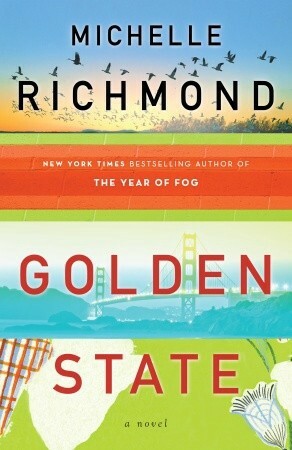 Michelle Richmond is the author of six books, including most recently the novel Golden State and the story collection Hum. She is the founder of Fiction Attic Press and the creator of the The Paperclip Method for novel writing and the iphone/ipad app 30 Day Novel. Get Michelle’s weekly writing and publishing tips delivered to your inbox.